Special Guests: Gilberto Huilipan (activist from the Mapuche community) and Emmanuel Guagliardo (lawyer for Mapuche community). In a corner of Argentinian Patagonia, in Latin America, there is a social, productive and sustainable organizational system of ancestral origins called “Transhumance”. Nowadays the migratory stockbreeders, both indigenous Mapuche and criollos, are facing the advance of the agro-industry’s fences, the closing of their pastures and expulsion from their lands. In addition, the threat of hydrocarbons and fracking in the area is placing their livelihoods at risk. 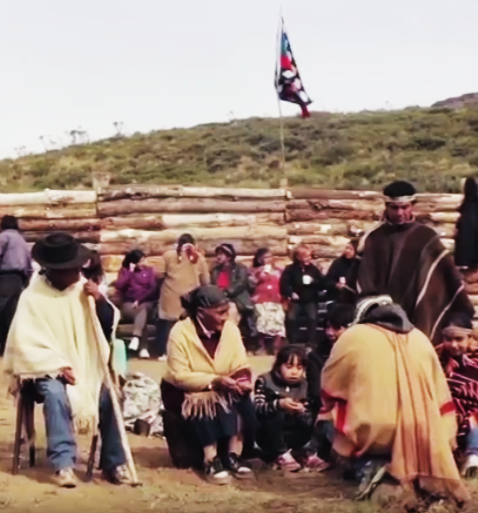 "Trashumancia" (trashumance*, migratory herding, nomadism), shot in Neuquén, Argentinian Patagonia, shows and explains the displacement of the Mapuche Community, the hardship of difficult conditions and arid lands, as well as the resistance of the community and their tradition of herding as a sustainable production technique ("de-growth" or coming back to the roots). Through stunning visuals of Patagonia’s landscapes and peoples, the documentary explores the connection that the Mapuches have with the land, and how this has been lost and devalued by farm factories and the agro-industry, as well as the looming threat of oil fracking. After the film, there will be a public dialogue hosted by the Climate Liberation Bloc (CLuB). Together with Gilberto Huilipan, an activist from the Mapuche community in Argentina, and Emmanuel Guagliardo, a lawyer for the Mapuche community in Vaca Muerta and one of the documentary’s writers, we will enter into a dialogue about the film and its connections to global struggles for climate justice and indigenous rights. Gilberto and Emmanuel will also engage audience members around their own role in movements for climate justice, such as the dutch movement against gas fracking in Groningen. Before the documentary, we will also be providing a delicious vegan DYI workshop on donation. We hope you will join us for a lovely evening and conversation! The documentary lasts 56 minutes and it is subtitled in English. *: the action or practice of moving livestock from one grazing ground to another in a seasonal cycle, typically to lowlands in winter and highlands in summer.